Special Saturday Open House Today! Come visit me 2-5pm today, Saturday September 24th, at 871 Warner Ave., LA CA 90024. The Westwood Little Holmby home at 871 Warner Ave LA CA 90024 received a price reduction this week of 4.41% or $66,000, down to $1,429,000. 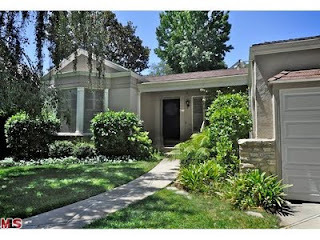 Listed 33 days ago for $1,495,000, this is the 1st price reduction of the current listing term. This charming little traditional home is one of the least expensive homes in Little Holmby and could be a great opportunity to get into this highly coveted neighborhood at an entry level price. Only 2 other homes in Little Holmby are less money, a complete fixer on a hill and a similar traditional backing up to the condo buildings on Lindbrook. According to the MLS, the home is a 3 bedroom / 2 bath, 2,050 sf of living space on a 6,403 sf lot.